So, on Wednesday (tomorrow) I will be receiving a first printed copy from the publishers. If that looks good, I will be able to publish the online copy of the PDF for anyone to download, totally for free - it is my great pleasure to be able to give this book away, since I am my own publisher! If I need to do a second printed copy to fix up any remaining layout errors, then I will have to wait another week or so to release the PDF copy, since I want to make sure that the PDF copy I'm distributing online is an exact match of the printed copy of the book, which will be available at Lulu.com. Even though the book is huge, I was able to keep the Lulu.com price at $19.95, which made me really happy to see - I've never published such a big book before! Hopefully, then, I will be announcing the PDF copy of the book tomorrow - and if not tomorrow, then by September 1. Meanwhile, though, the website that accompanies the book is ready to go, so for today's post I thought I would give you a quick tour of that website - just go to BestLatin.net, and you will be redirected automatically to the blog: Bestiaria Latina: Mille Fabulae et Una. Random 1001 Fables. In the right-hand sidebar, the first thing you will see is a new widget that displays the 1001 fables from the book at random. You can add this random script to your own webpage or blog; here's how. Indexes. Since the book is already enormously large (320 pages of fables, 100 pages of notes, plus 20 pages of overview material), I decided to publish the indexes online instead of trying to add another 100 pages to the book. So, you will find the Animal Index, Nature & Things Index, Gods & Supernatural Beings Index and the Proper Names Index. In addition, there are "reverse indexes" so that you can search for a specific Perry number using the Perry Index, and you can also see which fables come from which source using the Source (Author) Index. Original Texts. Most importantly, you can look up the original source I used for every fable online, since all the books I used - even the Renaissance books - are available online! 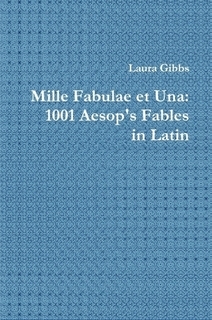 So, for all 1001 fables in the book, you can find Links to the Original Sources. Bibliography and Overview. For convenience, I have also copied the Bibliography and Overview sections of the book so that they are quickly available online at the website. Images. The book itself does not have images, so one of the important tasks of this blog will be to provide images to go with the fables! After years of accumulating illustrations to the fables, I am finally sorting them out into albums at Flickr.com, as you can see in these first posts that I have done, where I have an image to go with the fable, along with a slideshow for the book of illustrations as well, so that you can see the artist's overall approach to the fables, in addition to that specific illustration. So far, I have organized my Herrick, Barlow and Crane illustrations. I should be able to make a dozen or so of these albums during the coming years using images I already have on file. Audio. Just recently I discovered a web-based service called iPadio which allows you to record something just by making a telephone call and have it published online. This was really exciting for me; I have so little time during the school year to work on Latin (since I teach English composition, not Latin). With iPadio, though, I think this will allow me to do some audio. I added audio to Herrick's illustration of the Wolf and the Sow - it just took a couple of minutes. So, let me know what you think. The audio quality is not as good as I would get by recording and editing the audio on my computer and publishing the MP3 file myself - but since I don't have time to do that anyway, this seems like a fun alternative. It's weird and quite delightful to call up a phone number and have your voice be broadcast online like that (they call it "phlogging" apparently). If you are interested in giving iPadio a try, here are the instructions I wrote up for my students, since I think they are going to like this online tool very much! Congrats on finishing! Can't wait to partake!!! Tibi gratias maximas ago pro dono optimo! Libenter legam, legam.legam!